New York, 4th October 2008 - A stamp issued by the U.S. post office in 1868 sold for $1,035,000 in an auction at Siegel Auction Galleries in New York City. The amount includes a 15% buyer's premium. 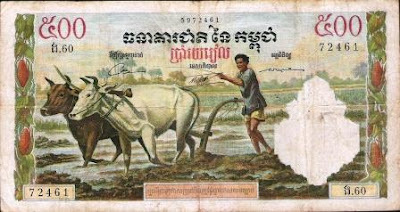 The stamp was purchased by a collector who bid anonymously over the telephone. The million-dollar price was paid for a 3-cent "B Grill" stamp, which was printed in 1868 with an embossed pattern in the paper. 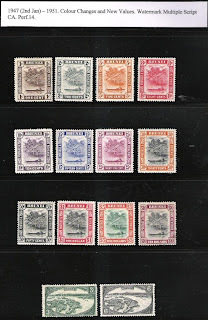 Collectors are said to prize these "grilled" stamps and only four copies of the "B Grill" are known. The stamp was sold during a three-day auction of more than 1,100 stamps owned by Perry B. Hansen, a mid-western banker. 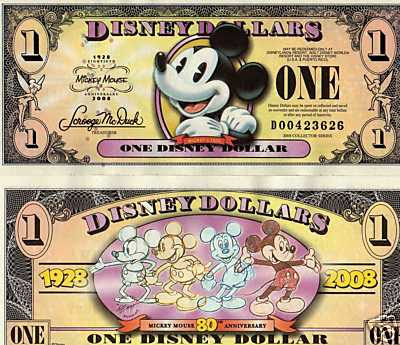 "Collectors who want rare stamps don't seem fazed by the chaos in the financial markets. We had four bidders on the B Grill over $600,000, and the stamp has a current book value of only $250,000," said Scott R. Trepel, president of Siegel Auction Galleries. Last year a rare Inverted "Jenny" stamp was sold at Siegel Auction Galleries for $977,500.00. 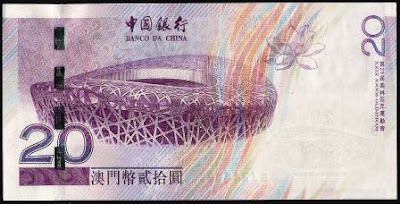 I got a lot of currency notes from China but the one that I wanted was a modern one - the 10 yuan Olympics souvenir. I could not get that note. I found out that only 6,000,000 was printed and you would have thought that would be plenty. Apparently not. Distributed nationwide, each city only get a few thousand pieces. In Nanjing, only 3,000 pieces were released there. So there is no way I could get it unless I want to pay big money for it. It cost at least US$300 each. The AP said when it first released the news, only the Olympics could bump Mao Zedong, the founding leader of communist China, off a Chinese banknote. To commemorate the Beijing Olympics, China's central bank is issuing a new 10-yuan note, according to a report by Monday's official Xinhua News Agency. 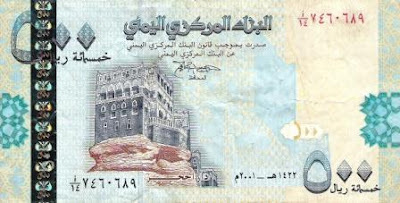 The note is worth $1.45, the starting price for a taxi ride in the capital. 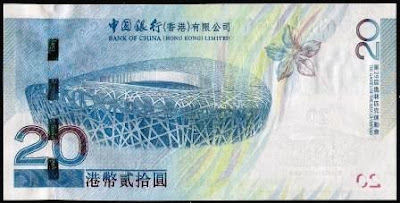 Mao is gone from the note, replaced by a sketch of the new National Stadium — the Bird's Nest — and the emblem of the Beijing Games, according to the report. Both are set against the backdrop of the Temple of Heaven, one of Beijing's iconic sites. 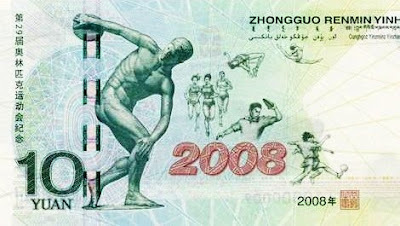 The back of the note features a statue of a Greek discus-thrower and the year 2008 written in Arabic script. 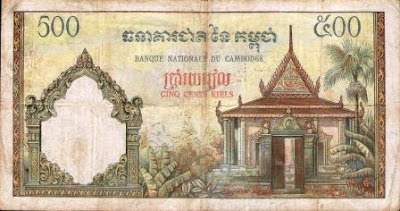 The bank said it will issue 6 million notes beginning Tuesday, a tiny distribution meant almost as a souvenir. The new note is slightly larger than the ordinary 10-yuan note, which will continue to circulate. 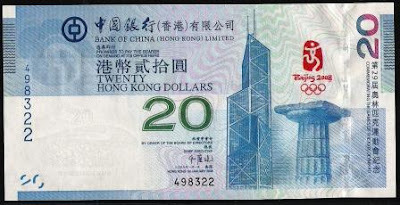 I did manage the get the next best which are the Hong Kong $20 and Macao 20 Patacas issued by the Bank of China. 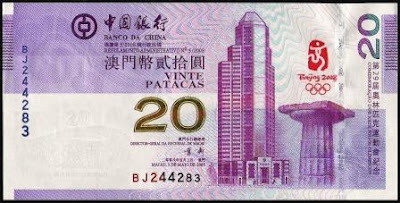 This was the newest issued noted of China for the new 21st century. 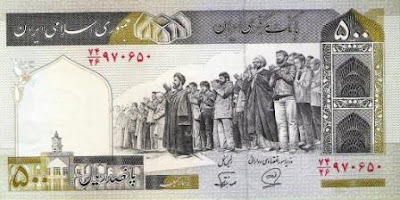 This was issued on 28th Novembe 2000. 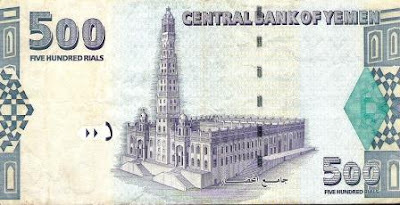 It is a polymer note. 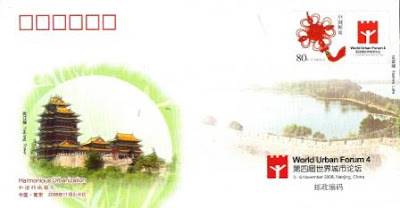 On the front can be seen a rising dragon of the nine dragon wall in Beijing, a laser mark on the right and a transparent window with the logo of Temple of Heaven. On the reverse is the China Century Temple. I managed to get this note for 360 Yuan when I was in China. I don't know what the market value is really but I thought 360 was a reasonable figure. That works out to be around B$75. What I really wanted to get was the Olympics 10 Yuan. On ebay that is currently traded at about US$300 which I thought was a little steep. 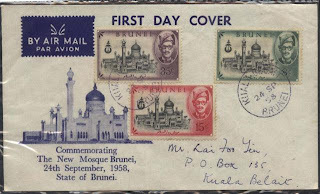 A Miss Jennifer sent me this set of First Day Covers all commemorating the opening of Brunei's Sultan Omar Ali Saifuddien Mosque in September 1958. The 50th Anniversary of the opening is coming up this Friday and there is currently a lot of interest in these old philatelic items. I only had one of these 3 FDCs but I was not surprised when Jennifer sent me these three different designs. I found that for other stamp issues in the 1950s and the early 1960s, there will always be more than one FDC design. I am guessing that in those days, these FDCs were not always issued by the Postal authorities and that other people may be allowed to issue them as well. The SOAS Mosque was opened on 25th September 1958. That day was a public holiday because it was also Prophet Muhammad's birthday. So that day was Maulid Rasul or Maulud Nabi. 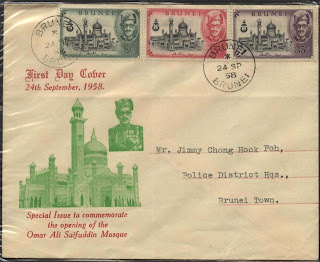 The stamps were officially issued on 24th September 1958, the day before the official opening. Two of the three FDC had 24th as the postmarked on the FDC. But one of them was issued on 26th, the day after. It would be interesting to know why that is so. I am trying to win ebay's auction on this item but I fear I am not closer to getting it. The price at this point in time is US$409.00 which is already too much what I am willing to pay for. 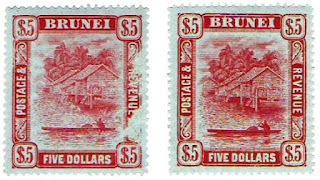 In 1895, when John Robertson managed to get the stamps concession from Sultan Hashim, he produced a set of 10 stamps in exchange for running the postal service in Brunei. With hindsight, we now know that what he wanted was to get the rights to producing the stamps and make gains from it. The postal service which he ran was described as 'sporadic at best' so he was not meeting his end of the bargain of running that postal service. As part of his investments, he sold first day covers. 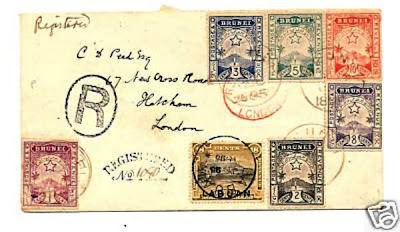 He sent two batches of first day covers, one was to a Mr. Parker and the other was to a Mr. Pead, both in London. These two, maybe numerous in 1895, have now been much harder to find and their prices have increased as well. I managed to obtain the 'Parker' first day cover for about GBP220 in an auction a few months ago. I thought getting the 'Pead' first day cover would complement the 'Parker' first day cover. But not at more than US$400+. Last month was His Majesty's 40th Anniversary of his coronation. 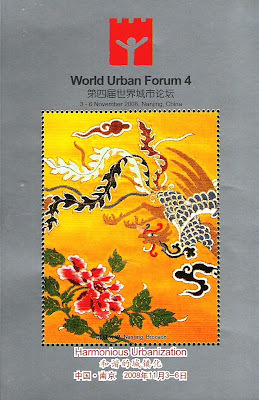 I wrote about the stamps that were issued specially to mark the occassion which you can read here. When I went to the counter last month, the lady said she would reserve me a number - the miniature sheet has a serial number. I just said 500 as the number that popped up in my head and I got that 000500. I should have asked for something like 888 or something. 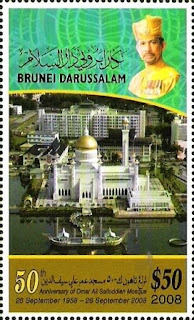 This is not the first time Brunei postal authorities issued high valued miniature sheet. The previous one was to mark the occassion of His Majesty's 60th Birthday. 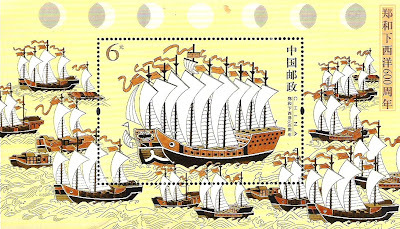 The authorities issued a $60 stamp on miniature sheet and sold it for $235. The previous one to that was when His Majesty celebrated his 50th birthday. 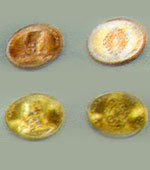 The postal authorities issued a miniature sheet with five $50 stamp and the miniature sheet had a face value of $250. Then I was not an avid collector and $250 was a lot of money to pay for stamps. Nowadays I am willing to pay much more. 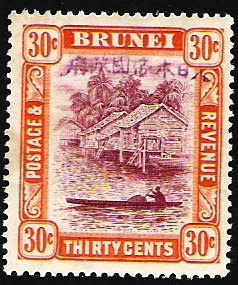 Much to my regret that $250 miniature sheet cost me $600 at a philatelic store in Singapore in March. So the lesson would be - get your hands on this $40 miniature sheet. It would rise up in value in the future and this is a pretty good investment. I bought a book about Brunei published around 1980s. 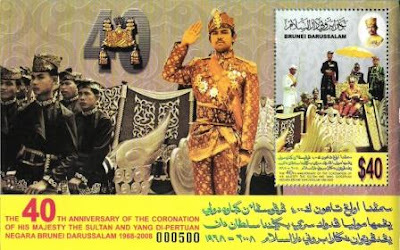 The book was relatively modern but it does show a number of changes that Brunei has undergone over the last 20 odd years. I was surprised when I saw the photo above. 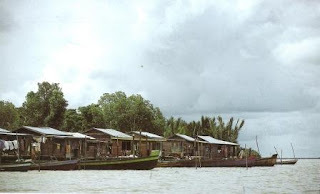 It shows a Kampong Ayer on Pulau Pepatan. So it is strictly not Kampong Ayer proper. 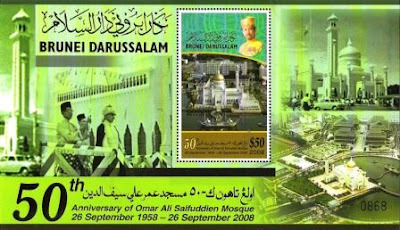 I remembered this scene as I know it appeared on one of Brunei's older currency notes. 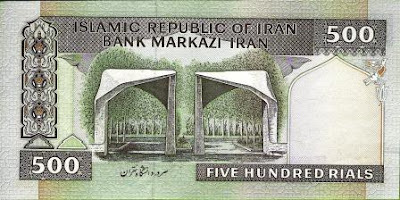 And here it is forming the illustration of 1995 series of $5 notes. Most of these series took their photos from one of the postcards or more relatively known photographs. I have written about a few in the past. For those still wondering which $5 note I am talking about, here it is. 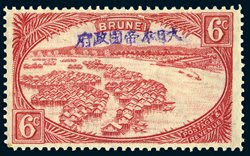 This is the 16th stamp of the 20 stamp set of Brunei Japanese Occupation. The others which I am looking for is the 6c red stamp, the $5, the $25 and $3 overprints which all have catalog values of four to give digits. 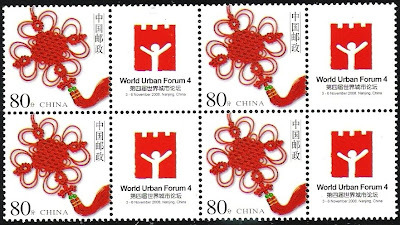 This 30c stamp cost me US$135. Its catalog value is much lower at around US$100 but the opening bidding price was already at US$125. So the catalog value should be revalued higher. I had a tough time searching for this stamp and the moment I saw it I thought I will grab it. It's an ordinary 30c 1924 issue but I think by the time of the Japanese occupation, there was not much of this issue left for them to overprint. Hence the scarcity of it. Similarly with the 8c grey which has a catalog value of around $2,000+. I purchased that the other day for around M$700+.